Do you believe in the wonders of magic? Magic transcends our everyday lives, introducing an element of whimsy and surprise making the ordinary transform into something extraordinary. Holidays are the perfect time to incorporate family traditions into our lives. 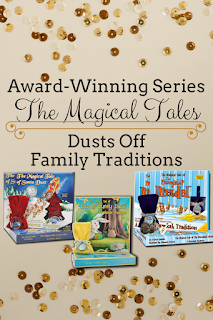 Addressing this need for families to bond and connect during special times, Patricia Cardello, author of The Magical Tales – Family Traditions book series. 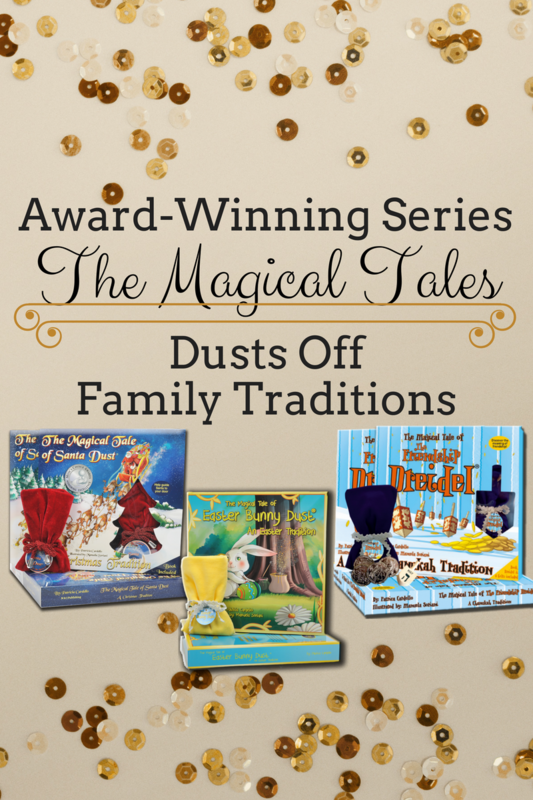 Always a believer in magic, it was a pleasure to find the award-winning Series The Magical Tales dusting off family traditions. Thank you to our friends from The Magical Tales for sponsoring this post with promotional products for the purpose of facilitating this advertorial content. 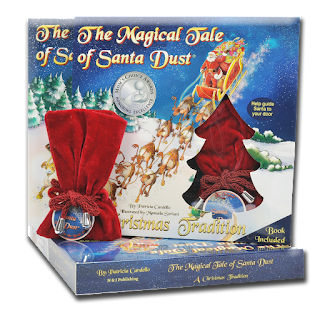 "The Magical Tale of Santa Dust – A Christmas Tradition is a delightful holiday tale of two small children whose house Santa has never been able to find. It’s Christmas Eve again, and the children fear another year will go by without a visit from Santa. But thru the antics of a giggling, bungling elf, and some magical dust, their Christmas dreams come true." 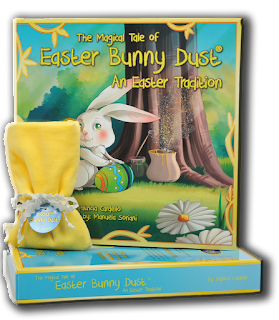 "Two small children, on a treasure hunt in the woods, come upon a yellow pouch and the most beautiful Easter egg they have ever seen. Sensing it’s magic, they decide to make one wish – to see the Easter bunny. On their way home the magical egg develops a crack which spills magical Easter Bunny Dust that leads the Easter bunny to their door and to their sight." "Just thinking about Halloween can be a little scary. When the holiday occurs, and you’re faced with ghosts and goblins and mysterious hands that aren’t connected to arms, it can be much more than scary. This is the situation in which two children find themselves. Is it time to face their fears – or run from them? Perhaps some help from a small orange pouch filled with sparkling magical Halloween Dust might chase the ghouls and goblins away. 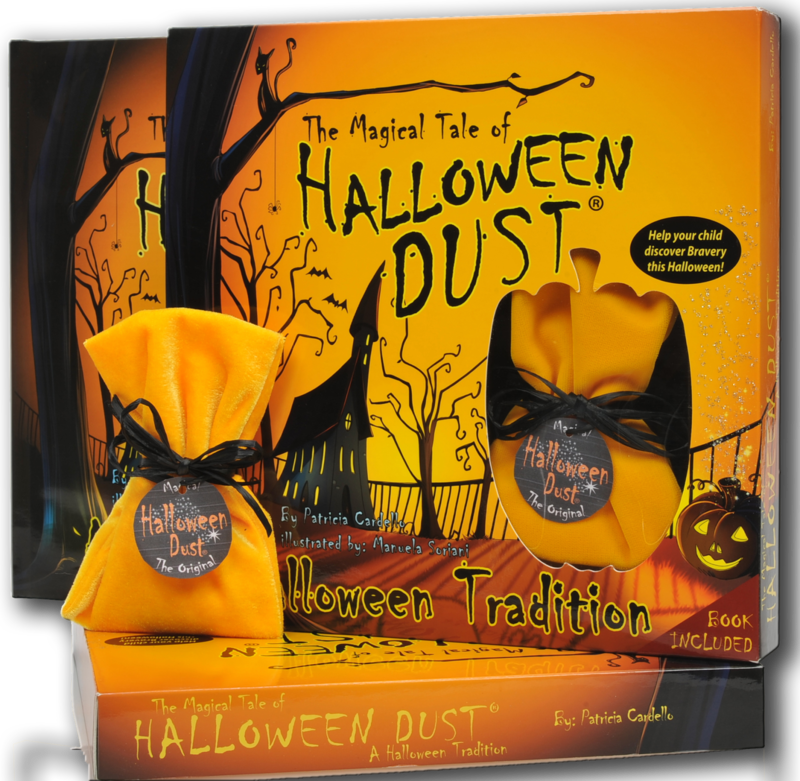 But is the dust really magic or are they becoming braver just because… well, just because…?" "Sarah and Clara have been friends for nearly all of their lives. As close as sisters, and with names that rhymed, it was only natural that they cherished their friendship and promised it would last forever. 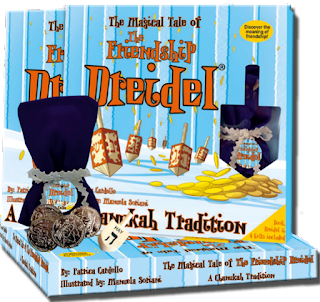 When a little dreidel appears in the snow, they link it to both of them in a way only they understand, as a reminder that sharing traditions and love are what holidays are all about."